Christian Billinghurst has undertaken research in Uganda with the assistance of The Family Initiative, as part of a Masters in Public Health at Imperial College, London. 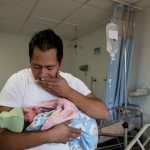 We have asked him to write about his main findings and what these imply for future strategies around the world for engaging fathers in maternal and newborn health. A positive caring relationship between fathers and their children has been associated with better maternal and newborn health outcomes. Paternal involvement has gained some awareness in recent years but the focus of research tends to be on fathers’ failed societal roles and shortcomings. I specifically targeted fathers who are already displaying caring behaviours towards their children. These involved fathers, albeit neglected by researchers, provide a novel perspective. Recruiting involved fathers did not prove difficult, as there seemed to be a general interest in the topic of fatherhood. I observed that many involved fathers were in church groups and came from a higher socio-economic group. 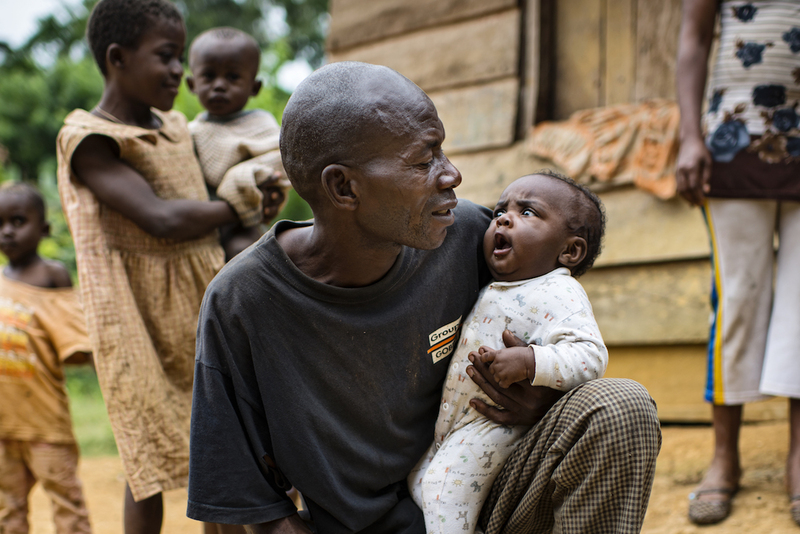 I asked fathers to explain their story and how they perceive fatherhood in Uganda. 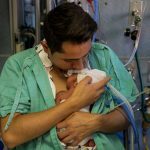 Despite being appreciative towards healthcare workers who promoted their involvement, fathers felt that involvement has to come from within, not from someone else. Government was considered to have a secondary capacity only, providing a safe environment for paternal involvement to prosper, for example by providing economic security. “I don’t really think Government should do much. What they can do is create a supportive environment… Leave some of these things to the parents”. Non-governmental organisations were viewed negatively among some I interviewed, because they are perceived to exclude men and boys from programmes. Without the necessary support, participants worried that future generations of fathers will be less responsible, thus failing in both a caring and providing role. “NGOs have come up with programmes for girls. But nobody is focusing on the boy child. We get taught that the boy child will figure out things, but that’s where the problem is. If the boy child ends up figuring out things, he will make mistakes. He is not able to pass good on the next generation. Father clubs will help them avoid making the same mistakes”. When I asked how to solve the perceived fatherhood crisis, those I interviewed favoured a bottom-up community approach. Fathers felt that the community should be responsible for parenting, not government or NGOs. This could be achieved, for example, by providing a network for fathers to interact with each other and learn key parenting skills. Most fathers that I interviewed had a close network of friends who motivated each other to become better parents. Those I interviewed emphasised the importance of this topic to them After I finished the interviews, they warmly thanked me for conducing this research, telling me I was asking questions no-one had ever asked them. The research is represented in summary form below.